Many apartments require tenants to use the property Wi-Fi provided service. Others let tenants choose their own service. Either way, many people have the capability of creating Wi-Fi hotspots with their mobile devices. Wi-Fi networks are virtually everywhere. A good Wi-Fi network name is an easy way to protect your network without spending money. 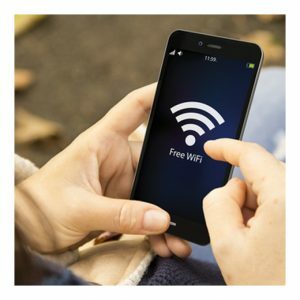 Many people will just connect to any Wi-Fi network that’s not password protected. Obviously, the first step in securing your network is requiring password authentication. This is standard on many routers already. But one important step to deterring likely unwanted connections is to name your network something unappealing, intimidating, or unfamiliar. Variations of “Malware” and “Virus” are good choices, as they resemble the names of unwanted software typically used to hack computers. A sure-fire way to protect your network from strangers is to just make it “hidden.” That way, only people who actually know the name of the Wi-Fi network can find it. Whatever you do, take precautions. The cost of your Wi-Fi network is usually determined by how much you use it. And when you have strangers using your Wi-Fi, it can lead to many unwanted fees. The post How to Create a Good Wi-Fi Network Name appeared first on Apartments For Us.